It may come as a surprise to some but these two locos were built only seven years apart. 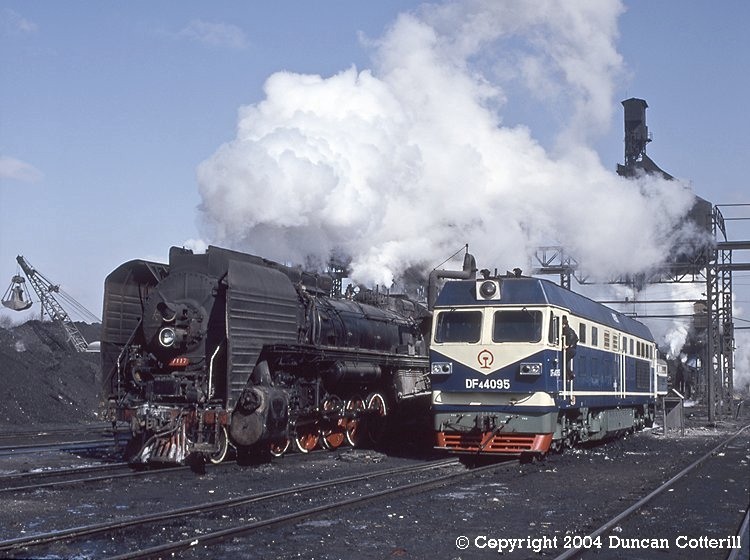 QJ 7117 was a 1987 Datong product while DF4 4095 was built by Dalian in 1994 and was only a few weeks old when photographed at Changchun depot on 28 February 1994. The new DF4Cs had recently displaced steam from freights on the Jilin line, leaving only the secondary line to Da'anbei with a significant volume of steam working.